Welcome Home Final from Vizion Creative on Vimeo. 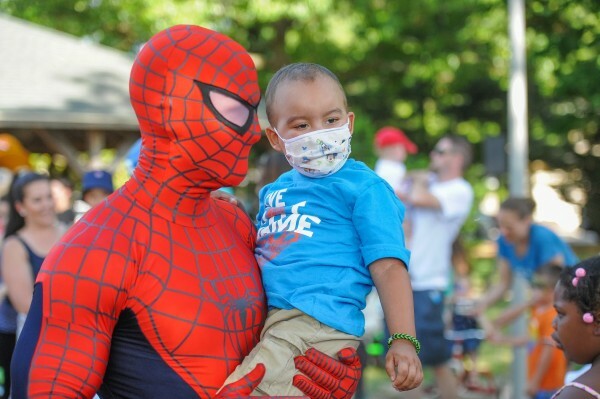 On May 17, 2015 the Good Ole Boy Foundation hosted a Welcome Home Celebration for 5 year old Brayden Houston. Brayden recently came home after a 4 month stay in the hospital while waiting for a new heart. Brayden received his new heart on April 1st. The Welcome Home celebration was a fun filled day filled with bike decorating, face painting, super heroes, moon bounces, music, free food, and a parade. That's right, Brayden had his own bike parade! The parade was filled with bikes, strollers, wagons, trikes, power wheels, and the Sussex Tech Drum line. Following the parade there was a ceremony to recognize Brayden's family and give honor to the family that gave an amazing gift in their darkest hour so Brayden could live on. To honor this little life that was lost, a single white dove was released in their honor. The Good Ole Boy Foundation greatly appreciates everyone who came out to support this event. We also would like to thank everyone who supports this foundation so we can hold events like this.